"We will support every woman who turns to us for help. And not just with words. If a woman is in a difficult situation, we are ready to provide her with shelter, give material assistance, and supply everything necessary." Church, society, and each one of us should do everything possible, so that future mothers will not commit the terrible crime of abortion, and will not kill a child in the womb. To prevent this, our duty is to provide them with effective assistance. Back in 2016, with the blessing of His Holiness Patriarch Kirill, a general church fundraising was held for the needs of pregnant women and women with children in crisis situations. As a result of the collection, more than 39 million rubles have been received to the account of the Synodal Charity Department. With these funds, we have been able to open more than 100 new centers of humanitarian assistance in different regions, and they continue to open. In these centers, mothers and pregnant women in difficult financial situations receive the food, clothing, hygiene products, and children's items that they need. There are also 54 shelters for pregnant women and women with children, opened with the participation of the Russian Orthodox Church. 53 of them appeared in the last seven years. These pregnancy centers and shelters help save the lives of children. Still, despite the active development of this work, the existing centers and shelters are not enough for our huge country. Therefore, this year, His Holiness Patriarch Kirill gave his blessing for a new fundraising effort to help pregnant women and women with children. 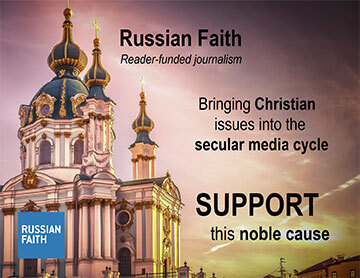 It will be held on June 3 in all Russian churches, timed in accordance with Children's Day. In all the churches, a special message from the Patriarch will be read. We want future mothers to know that the Church not only says abortion is a terrible sin, but also extends a helping hand. We will support every woman who turns to us for help. And not just with words. If a woman is in a difficult situation, we are ready to provide her with shelter, give material assistance, and supply everything necessary. It is vitally important to help women who want to keep their children. A child that is already conceived, is a child God has called to be born. Unfortunately, sometimes a woman's friends and relatives want to kill the child, and they push her to commit an abortion. This is unacceptable. We must protect everyone, helping each person to be established in truth, goodness, and love. To do this, you need to educate yourself. In each of us there is a child, in each of us there is something good. Unfortunately, sometimes we forget about the good that was in our own childhood. We must not lose it. We need to protect the child within. This becomes possible when we become attached to Christ. The Lord has shown us the image of a perfect man, Jesus. And outside of fellowship with Christ, a person disintegrates. One of the main Christian commandments is the commandment of love for one's neighbor. Even if a person does not go to a church building, he internally knows this commandment. Helping someone else — caring for the weak and defenseless — is one of the most important parts of human life. And it is our responsibility to show this concern and love for those who most need it. The author, Bishop Panteleimon, is chairman of the Synodal Department for Charity of the Moscow Patriarchate, and the head of the Orthodox Relief Service, "Mercy".